BANANAS. Lately I’ve been completely obsessed with jungle prints and in particular Hinson’s Martinique print pictured above. 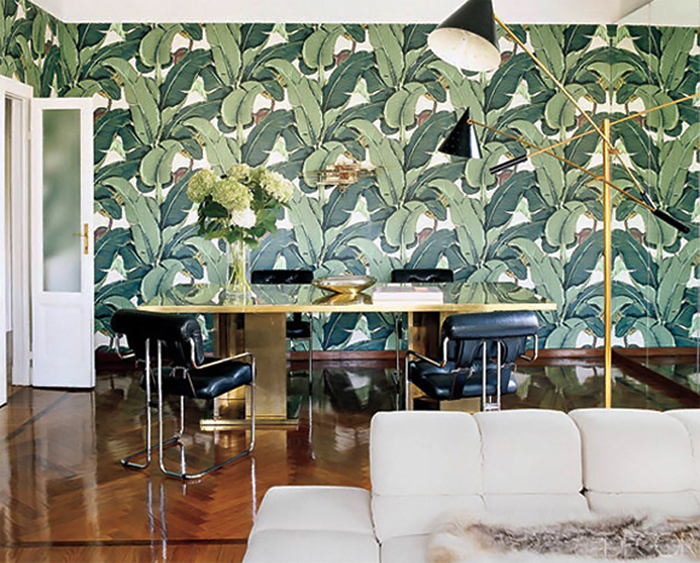 It originated in 1942 as a wallpaper in the iconic Beverly Hills hotel and has since reached somewhat of a cult status among celebrities and interior design junkies. I dream of using it in my livingroom (love the bold statement it makes in Nate Berkus + Brian Attwood’s place above!) or to spice up a bathroom (see below), but until then these stunning Martinique inspired pillows I bought last week will do the trick!